In the field, in the lab, and in the classroom we try to have a good time doing what we do. Here are just a few of the images we have accumulated over the years. 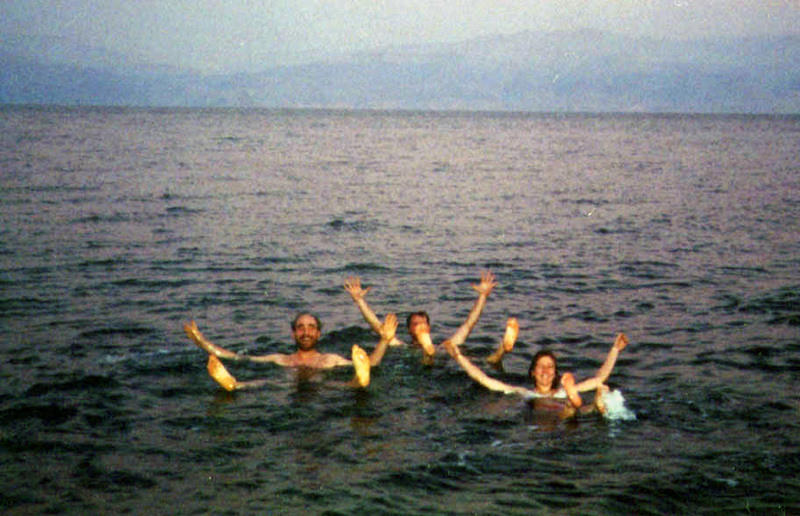 That's Paul, Sara Mitchell (Gran), and Erik Clapp in the Dead Sea after a hard day of fieldwork in 1998. Rebuilding the Lab - Not long after the Memorial Day 2007 fire, the rebuild began. Other Labs - Colleagues from around the world hosted our students after the fire. Sample Storage - Feel the cobwebs, smell the mold, see where old samples go to hibernate. Big Events - See things that are important to people in our research group.